This sporting clays shoot is open to men and women of all skill levels, ages 14 and up. 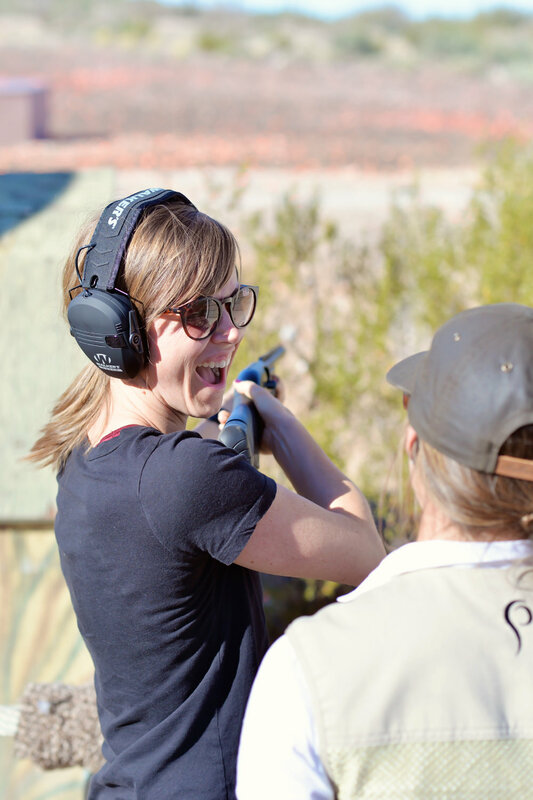 Join us at Rio Salado Sportsman’s Club to improve your shotgun shooting skills and meet other shooters! The $40 fee includes shells and targets. Space is limited, sign up today! It’s time to break some clays! Interested in learning to shoot sporting clays? Or do you keep missing targets and aren’t sure why? Join us on Sunday, February 24 at Rio Salado Sportsman’s Club in Mesa. During this event, we will provide small group coaching and one-on-one feedback to improve your shot and help you break more clays. This event is open to all skill-levels. We welcome new shooters, women, and youth over 14! The $40 fee includes targets, shotgun shells, and shotgun (if needed). Sign up today, and invite a friend. Space is limited. After our Holiday Shoot, join us for dinner at the Johnston’s home! Can’t make the shoot, but want to hang out? You’re still invited! The fee is $20/person, includes dinner and drinks. Space is limited. Sign up today! Shooting is a social event! Bring your favorite shooting partner to the event! Our October couples’ shoot was a success. 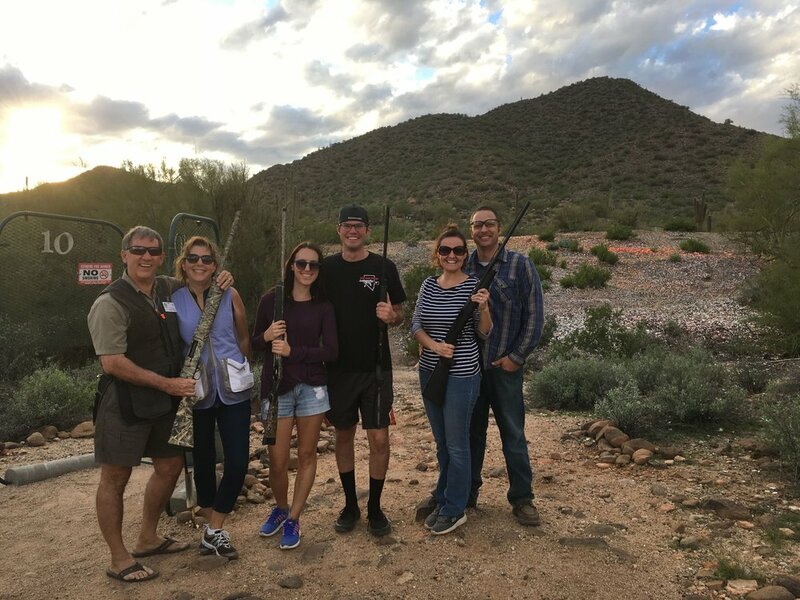 Join us for our first annual holiday sporting clays shoot at Rio Salado Sportsman’s Club. All skill levels are welcome! The $40 fee per shooter includes shells and targets. Space is limited, sign up today! There will be an optional dinner after the shoot at the Johnston’s home. It will be an additional $20. If you’d like to attend the dinner, please include that with your registration. Thank you! We will meet at Barnone before heading out to Rio Salado Sportsman's Club in Mesa. The $30 fee includes shotgun shells, target, and shotgun. This class will be led by Annie Johnston, an NSCA Level I instructor. Space is limited, register today. All ages and skill levels are welcome to attend!